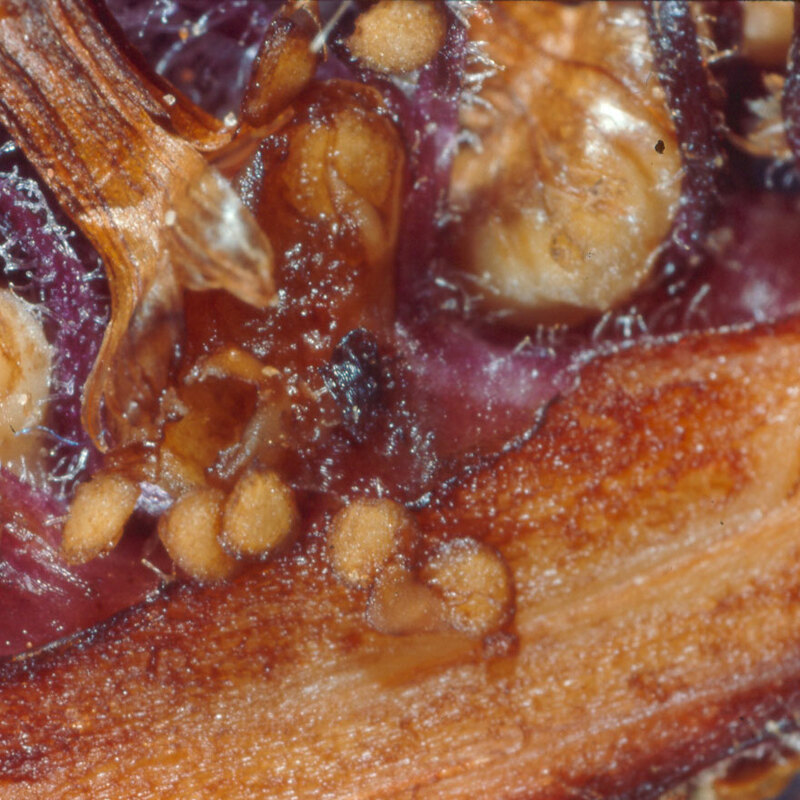 The base of an old flower has been torn open in this photograph, revealing the very small seeds. The seeds are oval and somewhat sticky. What disperses these seeds in the wild is not known.